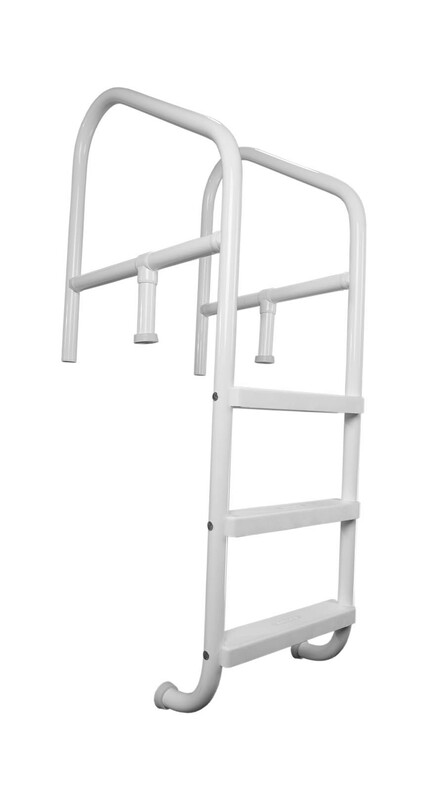 Saftron CBL-324-3S Cross-Braced, Commercial Grade, Three-Step Swimming Pool Ladder. 64" Tall x 24" Wide. Includes Matching Color Escutcheons. 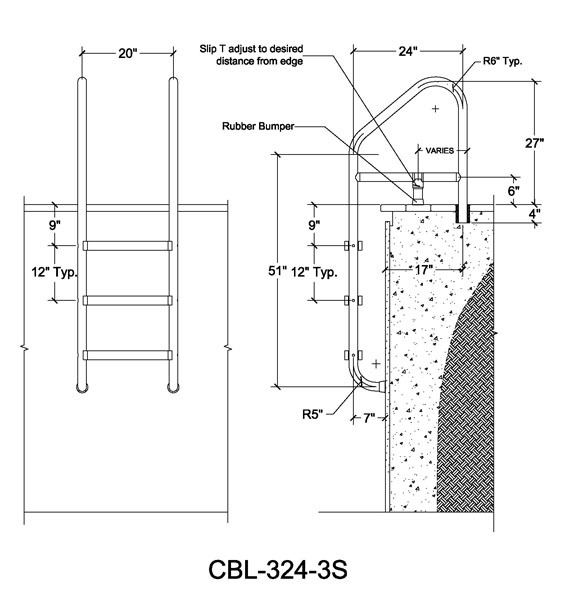 The CBL Pool Ladder series complies with all public and commercial pool regulations in all states (including California and Dade County Florida), and is ideally suited for swimming pools in Hotels, Gymnasiums, YMCAs and Water Parks (especially if equipped with Automatic Salt Chlorine Generators). 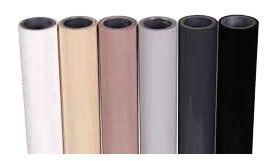 Color is an integral part of the pool ladder and not an after-coat. (The finish will never chip or flake). Non metallic composite does not get hot in the sun. Immune to the corrosive effects of Salt Chlorine Systems. Ladder is 64" High x 24" Wide. Width between ladder post centers is 19.5" (Suitable for installation into existing anchor sockets that are between 19" and 20" apart and 17" (on-center) back from the pool wall face). Installed height above the deck is 26" when installed directly into the deck or with Anchor Sockets, and 30" when installed with SB-3 surface-mount bases. Pool Ladders for commercial pools are usually either core-drilled & grouted permanently into pool deck, or installed using ANCH-1 Anchor Sockets for removable installations. A simpler and less costly installation alternative (although not typical in public pool installations) is to use Saftron's surface mount bases (SB-3). 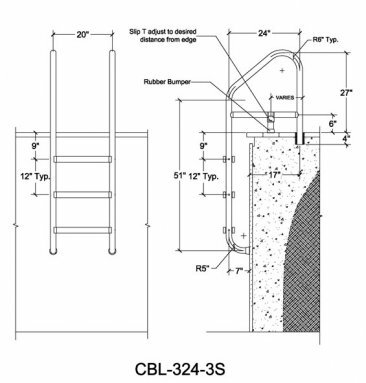 The sliding center support post of the CBL series of ladder can be moved to a location compatible with the pool coping or trimmed to fit coping height. Saftron's reusable alignment jig (P-JIG-L) may be used to facilitate the installation and alignment of Anchor Sockets. Unless one is grouting directly into the pool deck, either two bases or two anchor sockets will be required for each ladder. (Refer to the installation_instructionson this site for more details).